Home Meditations	What Will Fill the American Vacuum? America’s former FBI Director, James Comey (whose ham-handed public handling of the investigation into Hillary Clinton’s emails less than two weeks before the election helped get Donald Trump elected), says Trump reminds him of the mafia bosses he used to prosecute. The irony is lost on Trump’s sycophantic Secretary of State, Mike Pompeo, who told the UN to “pick a side,” in what he called “the mafia state” run by Venezuela’s President Nicolás Maduro. proclaimed interim president now supported by the United States. 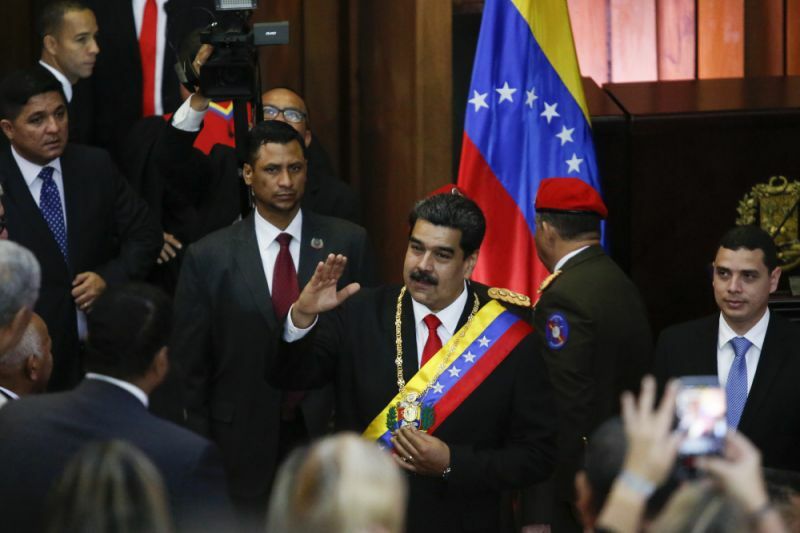 “The re-energized opposition under Guaidó and his international backers, led by Trump,” is a recipe for disaster. That’s from the same Russia that has propped up the murderous Syrian dictator, Bashar al-Assad. 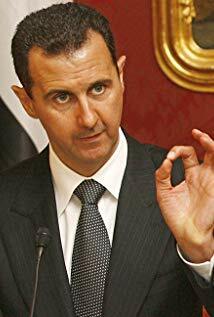 He waged an unspeakably ruthless war on his own people to suppress the Syrians who rose up in peaceful protest during the “Arab Spring,” driving his country into civil war. Russian bombs added to Assad’s barrel bombs, slaughtering people in hospitals, schools and marketplaces, killing hundreds of thousands and displacing millions. America’s immoral and illegal invasion of Iraq paved the way for that hellish mayhem. Sometimes there is a moral equivalency in history, and one now exists between Russia and America. The right-wing extremist Trump has finally found, in the left wing dictator Madero, a strongman he doesn’t like. Opposition leader Juan Guaidó, who won the election in Venezuela last year but for Madero’s vote rigging, has declared himself president, which threatens civil war in that formerly wealthy oil producing nation whose people are now slowly starving to death. The stage is set for another US intervention in a Latin American country. Given the tinder box the world has become after the rapid collapse of the USSR, and the slow-motion collapse of the US, such a wag the dog intervention could well lead to a wider war. The made in the USA post-World War II international order is history. Before it completely collapses, human beings have to pour the foundation for a genuinely global order. That’s over. The old order is finished, and it’s not coming back. The reason is simple. 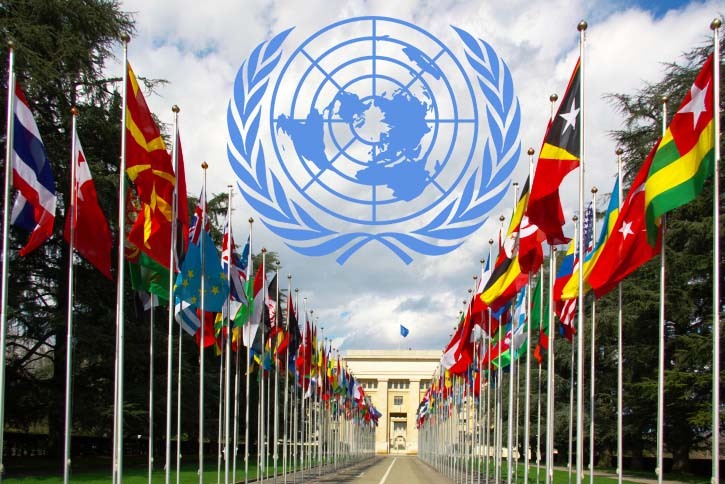 The UN is an inter-national organization, based on the separate sovereignties of nearly 200 countries comprising the collapsing post-World War II international order, at a time when the global society is unavoidable and the sovereignty of humanity is undeniable. As a Washington Post article today said of Brexit, “tribalism remains a powerful force that prevents cross-party cooperation.” Given that’s true of political parties, how much more true is it of cross-nation cooperation? A higher principle has to be tangibly and effectively embodied. It will take a psychological revolution to end tribalism however. Is it imminent? That depends on whether there can be a religious mind without sectarianism, and political activism without partisanship. To salvage what’s best of the UN, and the international order, we have to go beyond the UN and the international order. Any global order worthy of the name cannot be built on the rotten foundation of national self-interest. The parts do not make a whole. To have a global order, we have to pour a new foundation in humanity as a whole, and keep pouring it in perpetuity.